Baseball is synonymous with summer. People all over our country spend days, nights and weekends at ballparks cheering on their favorite minor or major league teams. Part of that enjoyment includes the food you eat at the game. Ballparks aren’t just serving hot dogs, peanuts, and cracker jacks anymore. There are foods to cater to every palate as well as dietary needs. Bennett Jacobstein and his wife, Dorothy spent a good share of 2014 visiting all thirty of the major league ballparks in the United States. Their purpose was to investigate the various food offerings and find out what is unique about each one. Their book also shares iconic historical information related to the classic song, “Take Me Out to the Ball Game”, the creation of Cracker Jacks, hot dogs, nachos, and how peanuts became a top-selling item at ball games. 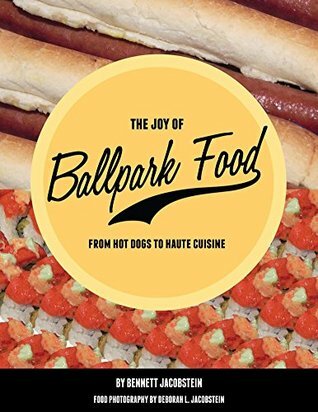 Each ballpark is featured including their signature hot dog and some of the more “unusual” and popular food choices. Dishes such as Grilled Wild Alaskan Salmon at Safeco Field in Seattle, Wild Rice Soup at Target Field in Minneapolis, Rocky Mountain Oysters at Coors Field in Denver, and a Lobster Roll at Fenway Park in Boston are just a few of the stranger options to enjoy during a ball game. Image taken of a page in THE JOY OF BALLPARK FOOD showing a photo of the menu from Wrigley Field in 1947. The enjoyment of food during a ball game has become big business and the Jacobsteins’ share some interesting tidbits of baseball history, how some foods were created, and unique hot dogs to fit every personality and geographic location. Wonderful photos are included throughout the pages to whet your appetite. 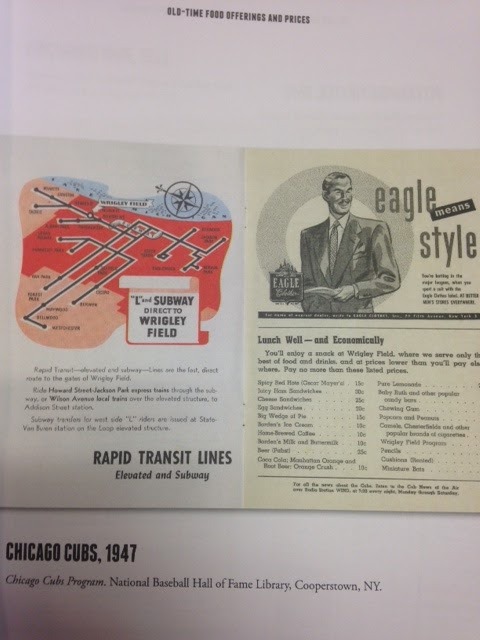 After reading through these pages, you will want to order tickets to get to your favorite ballpark as soon as you can! Our family has only been to four of the ballparks, and were familiar with several of the dishes mentioned at Wrigley and PNC Park. This book can certainly be used as a travelogue to visiting and tasting some of the chef-inspired dishes that have become so popular at games. Even though this book is offered in paperback form, it would make a great coffee-table book or conversation starter for summer gatherings or an excellent gift for that baseball fan in your life. Even non-fans will enjoy the food facts throughout the pages. The best part is that all royalties from the sale of this book will be donated to Second Harvest Food Bank. That makes this book a “Home Run”! Bennett Jacobstein lives in San Jose, CA. Oakland Athletics games during the 2013 season. 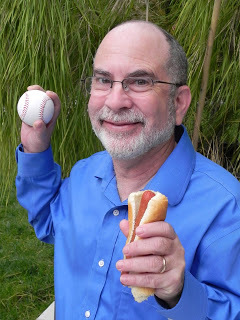 To learn more, go to http://www.ballparkfood.org/. You can also find out more on Facebook, HERE, and Twitter, HERE. Thanks to the publisher for sending a copy of this book for the purpose of this review. This review is my honest opinion. I was not compensated in any way for this review. If you choose to purchase the book through the above link, I may receive a small commission without you having to pay a cent more for your purchase. Thanks for supporting SincerelyStacie.com reviews. That is so cool! I bet Russ would love this for his birthday!